The IJOY X3 Replacement Coil is designed for the Captain X3/ Avenger subohm tank with huge vapor and nice flavor. The X3-C1 Dual Coils 0.4ohm, X3-C3 Sextuple Coils 0.2ohm, and X3-C1S 0.35ohm Coil for you to choose from. 3pcs each pack. 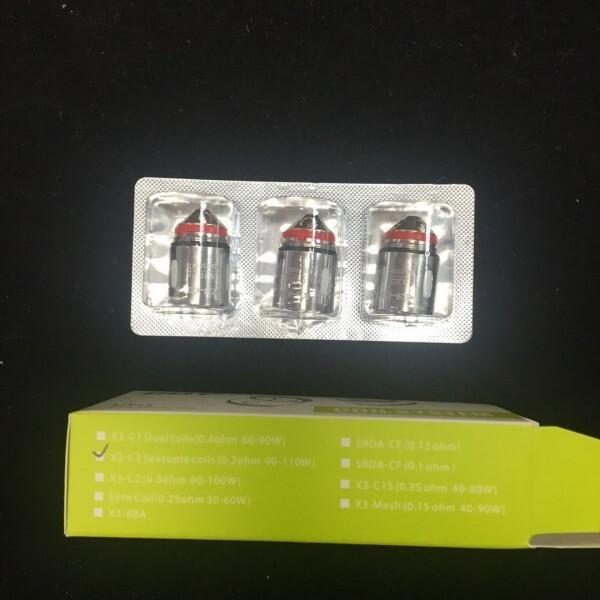 Get them as spare parts for your Captain X3/Captain X3S Tank or Captain X3 Kit to enjoy an excellent vape. There is cotton pre-installed in the coil.